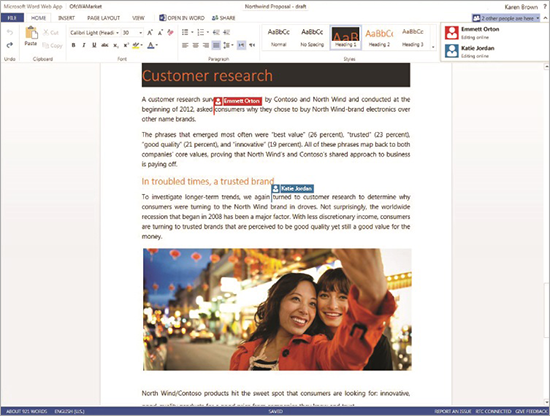 Microsoft’s Office Web Apps now have real-time editing. Co-authors will now be shown in the document alongside other users currently editing a document. Real-time editing will indicate where a co-author is working on the document allowing for ideas to be developed without conflicts in editing. Users will also be able to sync the online document with the desktop Office application. Features added to the online application include find and replace, header/footer support, styles and formatting for tables. A picture crop tool has been added to the PowerPoint Web App with new features for Excel Web App including sheet reordering and status bar aggregates.